Stefan’s life is about birds and art. He has never worked a day in his life that he was not recreating birds in one form or another. 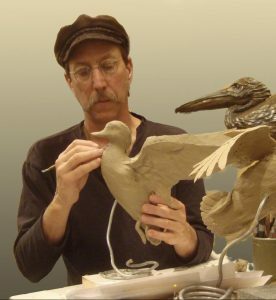 While taxidermy, which he has worked his way to the top of his profession internationally, has been his mainstay for most of his adult life, this multitalented artist, from a young age, has painted, carved, mounted, and sculpted birds. 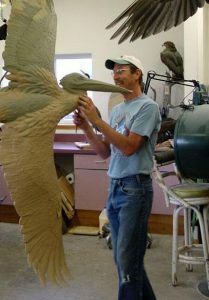 Sculpting in bronze is a natural progression from his taxidermy, as it provides a lasting expression of his knowledge of avian anatomy and design. Years of intense study coupled with a flair for simplistic design equates to renderings that capture the essence of his subjects in tasteful clean works of art. His work is to the point, without the distraction of every detail. Stefan is truly a multitalented artist who has proven himself in a variety of mediums and venues. To visit the actual Avian Design Gallery in Klamath Falls, Oregon, call for an appointment.